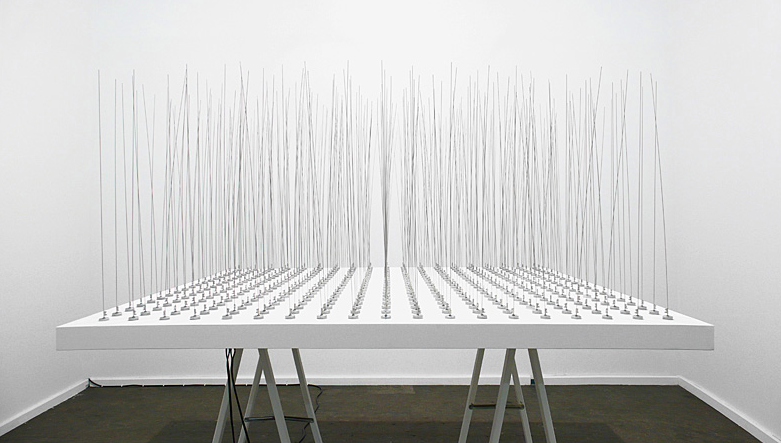 The artist Zimoun uses a variety of familiar materials (primarily combinations of boxes, motors, and wire) to create sound sculptures and environments. As you can see from the video above there is a very compelling, almost hypnotic effect to the sounds and motions the art pieces create. In the words of the artist: "My audio compositions are less focused on getting from A to B but rather to create static sound architectures and spaces. They should be entered and explored acoustically like a building." 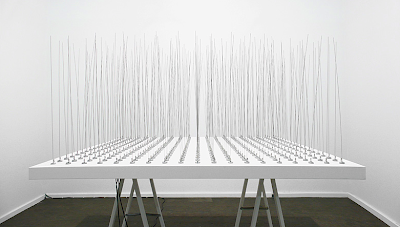 Find out more about the artist, and see more examples of Zimoun's work by clicking over to the Zimoun website.